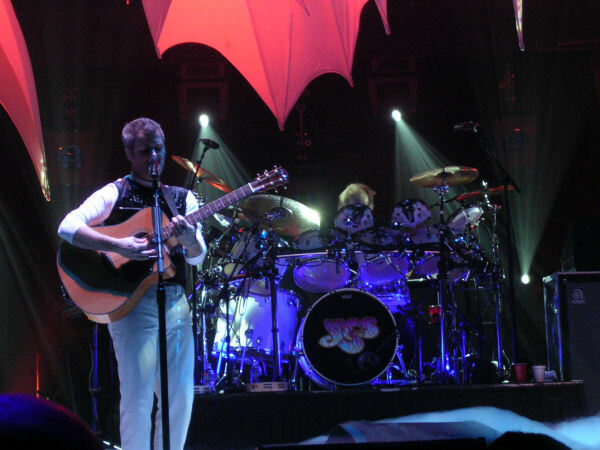 I was fortunate to see them twice on this tour. Once @ Cols. and this show at the Taft in Cinncinnatti. Sat right in front of the mixing board. I felt bad that Jon was not part of the line up...like seeing Van Halen...with Sammy Hagar! but Benoit did a great job. The sound quality was a bit sloppy on the first song, just had to tweak thing a bit, what a lovely venue. Close to the Edge was flawless. What an amazing set, wish they would play more from Relayer and Tales, but I'm so glad to see them still Rocking after all these years. They are one of the tightest, most influential bands ever. Period. What a great show in Cincinnati! The crowd was great and the sound was amazing! �Soon� was not played in Cincinnati. WOW!!! Very impressed once again with the new Yesshow. Benoit nailed it for the most part. Drama songs were awesome as well as Astral Traveler. I've seen Yes 30 times and was going to boycott this tour but I am so glad I gave in. Dropped Parallels unfortunately! 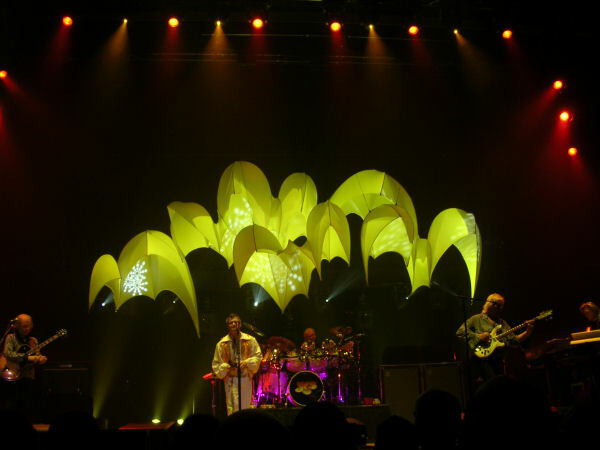 Young Wakeman was a nice addition but the vocals were the key and Benoit did an excellent job filling in. Great to hear Chris sing some lead. Get well soon Jon. Have some good shots that should be posted soon. My girlfriend suggested Chris might invest in some new pants!!! What's up with that? 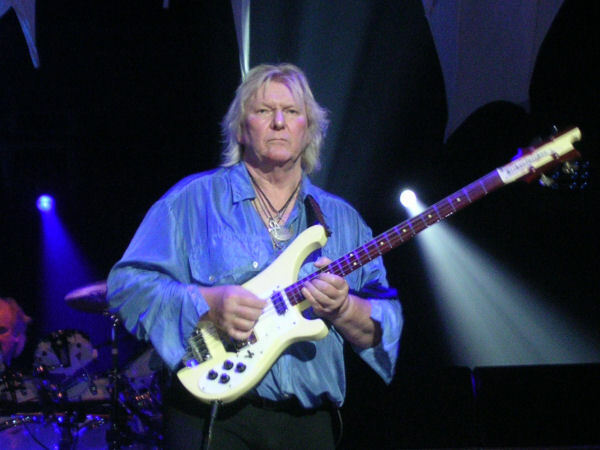 Well, I have seen every Yes show (and all versions of) since 1974, and I have to say that the boys were on tonight. The sound was crisp and the play was tight. 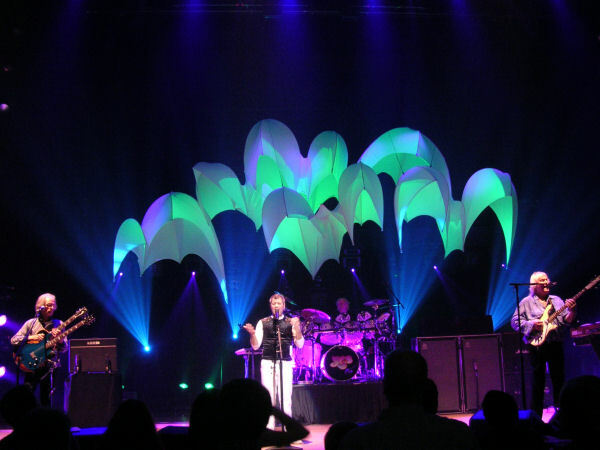 The Taft theatre is the perfect place for a YES concert. We waited till the day of the show to purchase our tickets and were able to get the seats that the band had held back and then released. We got seats six rows back on the left center of the stage, with direct view of Steve and his typical perfectionism of play. I read the earler were the guy said the sound was best at the Balcony level, and I agree, but the sound mix and volume level was good were ever you had a seat tonight. Very impressed with Benoit and his singing and stage presence. Sure wish the guys would have had a meet and greet after the show, or just had a bit more of conversation between songs. I had seen Rick Wakeman at the Madison some time back and his story telling on song introductions was the best part of that show. Missed you tonight Jon, but the boys gave the fans a gtreat show. Looking to see the boys again in Louisville next week. After reading many of the posts for this tour I was half-expecting an inaudible disaster. 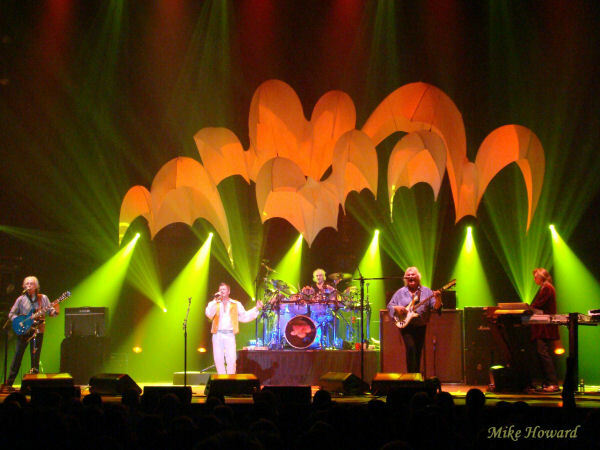 Thank God rumors of Yes� demise have been greatly exaggerated. There were a couple of minor clams here and there - Benoit David missed his first cue on Close To The Edge - but no disasters. The combination of gentle late November weather and a Friday night made for a full house and very enthusiastic crowd. 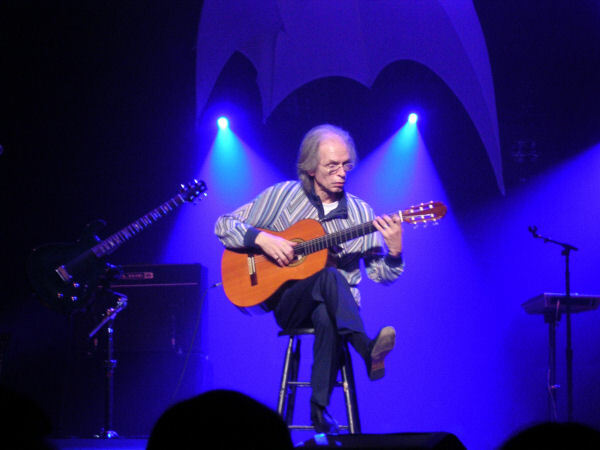 Steve Howe didn�t even get to properly conclude the first portion of his solo as he was drowned out by shouts and applause (much to his annoyance). The sound and volume were both excellent from my seat in the first row of the balcony, the place to be in the Taft for optimal sound. The show didn�t get underway until almost 8:30 and as a result they skipped the intermission and omitted �Soon� to make up the time. 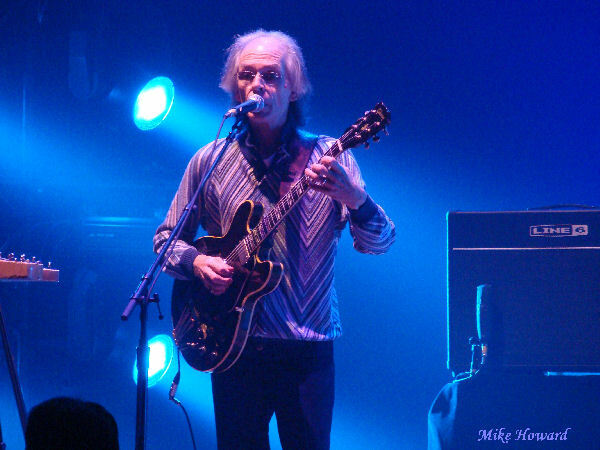 Steve Howe�s solo was the aforementioned abbreviated piece that I did not recognize and �Meadow Rag�. The� Drama� pieces were absolutely stunning as were �Astral Traveler� and a personal favorite of mine �Onward�. 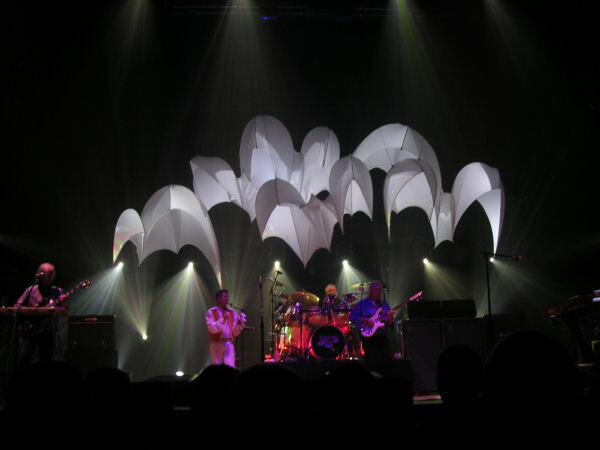 Renderings of set list staples �And You And I�, �Starship Trooper� and �Roundabout� were also high-octane fun. 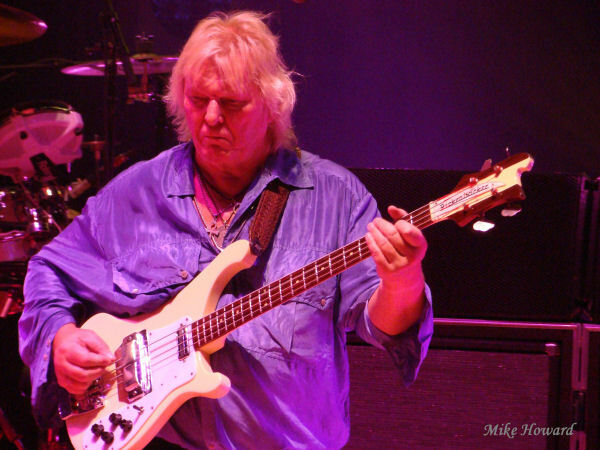 The mix was well-balanced with Oliver Wakeman�s keys prominently featured and plain to hear. Likewise, the production was also well realized. The lighting subtlety embellished the music without being distracting and the dry ice was an appreciated nod to days gone by. If you have reservations about this tour put them aside and go see it. It�s probably the only chance you�re ever going to get to hear some of this material live. My only disappointment was that �Parallels� has been dropped from the set, I was looking forward to that. I really hope they reintroduce South Side and Heart of the Sunrise into the set list. I think playing basically the same set list 3 times in Ohio would be an atrocity. I was at the show in Columbus which was phenomenal, but i am keeping my fingers crossed for South Side for sure.